Hello folks, I can’t believe we’re almost at the end of this little series! 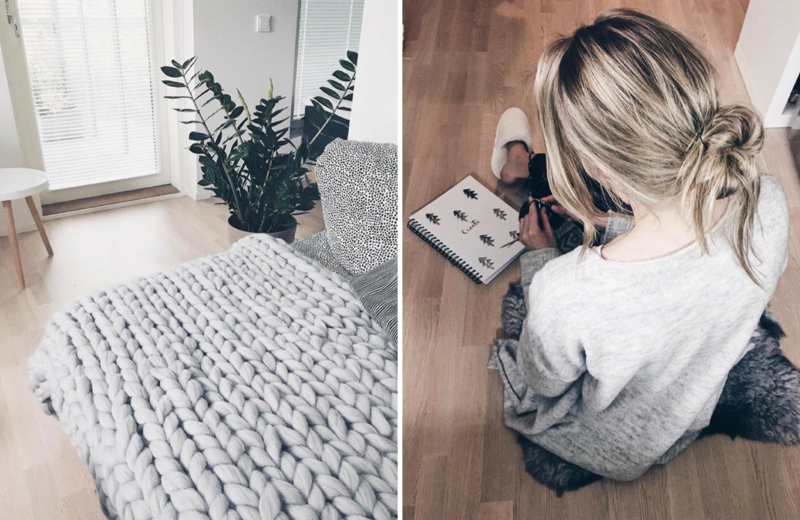 Today’s part will be all about the sweet and talented Heini from Swoolify whose Instagram feed is filled with amazing neutrals and her home is incredibly cozy and full of Scandinavian vibes! 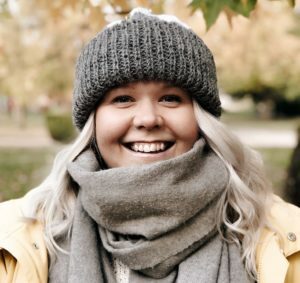 She’s also Finnish like me and it’s wonderful to follow the journey of another maker from your own country (this is a special feeling because I don’t think we’re THAT many hehe). She’s so kind and creative and I always love seeing her beautiful pictures! So keep on scrolling to find out more about her and click the pictures to get straight to her Instagram! 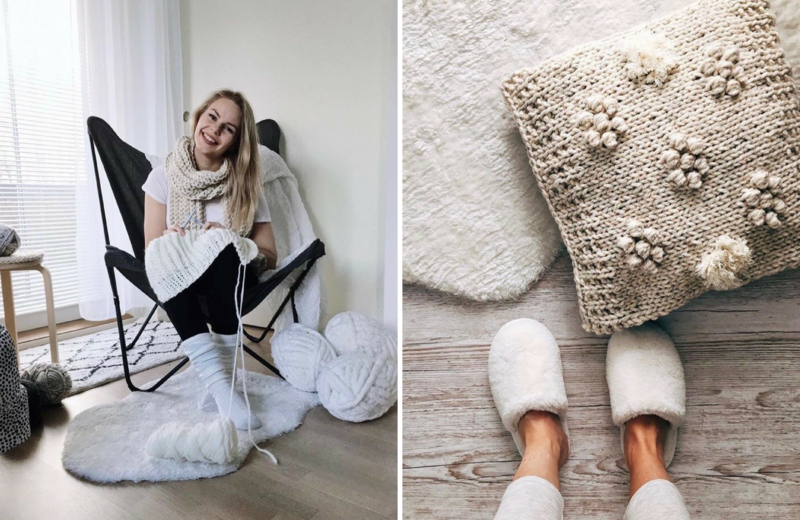 Describe your business in a few words: Cozy, chunky, simple, neutral colored and Nordic-inspired handcraft designs from the Northern part of the world. Opening my Etsy shop later this year! 1. What’s your favorite 90’s jam? – So difficult to pick just one! I don’t know the favorite but all Backstreet Boys’ songs and Shania Twain’s! 2. What were you like in high school? – I was very social and always had some projects going on. I still am but now I just love being at home if I’m not at work! Hygge mode on! 3. How many times does it take for you to listen to a song that you love before you actually hate it instead? – A few days of non-stop playing! But I still never hate any song. 4. What’s your favorite cereal brand? – Probably Weetos (because chocolate best) even though I haven’t eaten those for years haha. 5. What life advice would you give to your 10-year-old self? – Hmm, I would probably say that you will have an awesome life ahead! Also stop being afraid of doing round off back handspring (gymnasts will know). 6. If knitting/crocheting didn’t exist what would be your go-to hobby? 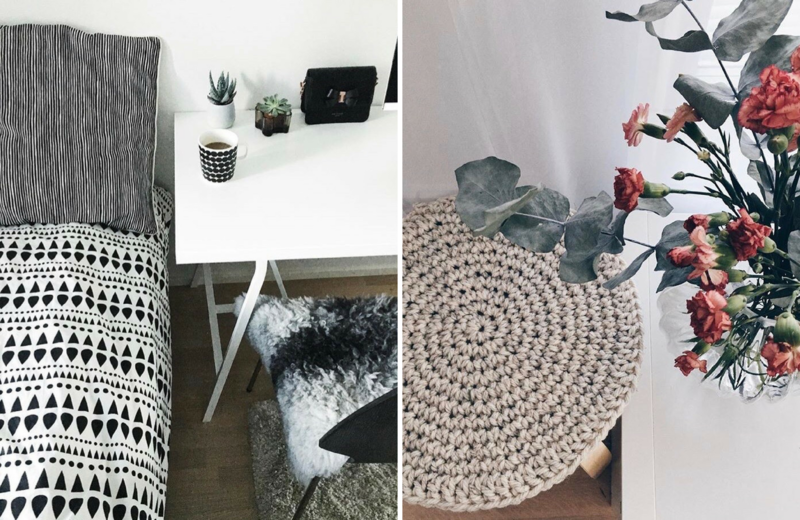 – I love interior design as well, so maybe that! And gymnastics. 7. Do you have a lot of unfinished knitting/crocheting projects or do you always finish what you’re doing before starting a new one? 8. If you could only use one yarn for the rest of your life what would that yarn be and why? – This is savage! Right now, probably Adlibris merino soft and quick! I love the colors (perfect tweed and oatmeal), thickness and the price (!!!) Drops Andes or Drops Nepal as close seconds because of the softness of alpaca (LOVE) and they knit up so beautifully! 9. What are your tips for taking good pictures of your knits? – 1. Natural light. 2. Knits should “interact” well with a background and props. Only a few different colors in a photo. 3. I prefer white/light color background so that the knit is on point! 4. Photo editing makes a lot! I use VSCO. 5. Not showing too much stuff in a photo + wipe off the lens! I am still learning! 10. What has been the biggest and proudest moment of your maker journey so far? – 100 % I must say that each and every compliment about my knittings I’ve received. I really appreciate every one of them and it makes me so happy to hear those! ️In the future, I hope opening my own Etsy shop would make another proudest moment! Favorite thing about your home town? – There are many beaches, it’s peaceful and next to Helsinki. Oops I said three things! – Can I say chocolate? No? Then it would be sushi. – My boyfriend who is always there for me and supports me! All time favorite knitting or crochet project? – My chunky blanket because it was just so extreme and different. More to come! – Sunset in Cambodia. That magical moment required nothing more than a sandy couch on the beach, a drink and course my better half! The little things.